There are some knock-down plant sales today through the weekend - so get planting! Succulents for pots at Cistus Design Nursery on Sauvie Island. Plants are going on sale all over town right now, and there couldn't be a better time to plant. While most folks think of planting a garden in springtime, fall turns out to be perfect for getting cold-hardy trees, shrubs, vines, perennials, and spring-blooming bulbs in the ground. The earth is still warm, supporting root growth, and the arrival of the rains keeps them well watered through the winter and late winter/early spring, when significant root development occurs. Here are two of the best this weekend, and two that are today only. Jockey Hill Nursery, just up the road (also in Scappoose), is also holding a sale, today only… amazing prices (plants priced for as little as 50 cents each!) 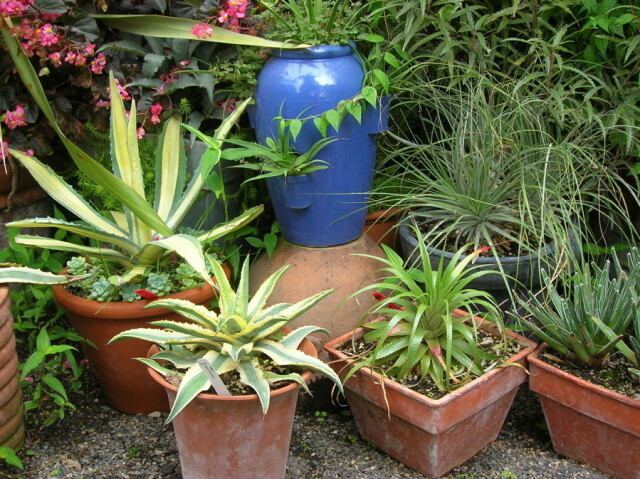 and a wide array of plants ranging from tried-and-true to genuinely unusual. Jockey Hill Nursery – as it is normally a wholesale nursery, please call for the address: 503-543-2614. What to look for: A large selection of salvias, drought-tolerant plants, lots of jasmines, and the most beautifully-grown array of Arctostaphylos (Manzanita) around. Also, check out the 4’inch sizes of typically pricier plants. Get them in the ground this fall and they’ll be the size of one-gallon plants by next summer. Cistus Design Nursery is the PNW’s premier retail source for unusual plants, located on Sauvie Island. What to look for: Drought-tolerant plants, unusual southern hemisphere and Asian plants, and the astounding array of cold-hardy succulents. The “Tough Love” sale - held this year in the front of the display garden instead of in the parking lot - includes plants at 75% off retail prices: 4-inch plants are $1! This is the best time of the year to plant, and prices are never better than this. So get digging. Your garden will thank you for it.